The mind of the average computer user boggles – why do big players like Google, AOL and the like develop cool programs and applications for free? What benefit do they get by offering niche services to users for absolutely no cost? Surely a lot of money and manpower must go into developing, testing and then delivering such tools. Why then, do they not charge a single penny for such brilliant inventions? The answer to those questions is simple – for the greater good! In this world of competition, professional rivalries, and survival-of-the-fittest games, there are organizations that take pride in providing helpful utilities to make the Web a better place, be it in terms of accessibility, user-friendliness or speed. This post is dedicated to one such free online tool which ensures that website loading speed and performance are the least of your botherations. Meet WebPageTest.org. WebPageTest is an open source project that was originally developed by AOL for their internal use, but realizing its potential, they open sourced it under a BSD license in 2008. Currently supported by Google, the platform is under active development on GitHub. 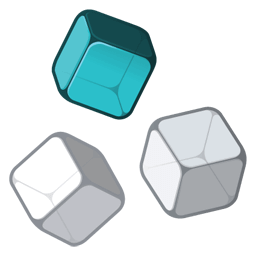 That means its builds are periodically packaged and made available for download to allow users to run their own versions of the tool (although the online version of the tool suits most purposes). 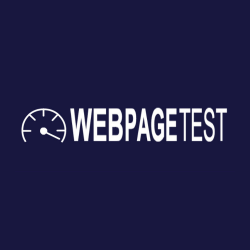 WebPageTest allows website owners to run free speed tests to check the load time of their web pages. It lets them view their site’s performance through 6 different performance grades and also displays a checklist of suggested changes for increasing the site’s speed. And if you’re thinking what’s so special about free speed tests, here’s the real USP of the tool – it lets you run the tests from multiple locations around the globe using real browsers (different IE and Chrome versions) and at real consumer connection speeds. What’s more, you can customize the tests in any way you want including simple tests, advanced tests with multi-step transactions, video capture, content blocking and much more. The results of the tests conducted by the tool provide rich diagnostic information including resource loading waterfall charts, page speed optimization checks and much more. And if you thought speed was its one and only forte, you’re just half correct. WebPageTest also lets you conduct Visual Comparison tests as well as run ICMP Traceroute from any of the test agents. Enough with the vocal appreciation, let’s try the tool hands on! To say that the tool has a learning curve involved won’t be entirely true, but it won’t be entirely false either. 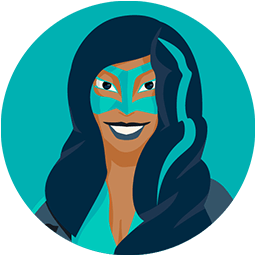 The only thing you need to have is knowledge about web performance community terminology and you’re good to go. But then, as a website owner you’d be a pro at that already, won’t you? Very well, let’s get straight to business. Visit www.webpagetest.org and you’ll see what you want right in the middle of the screen. There’s no-nonsense involved which is good. 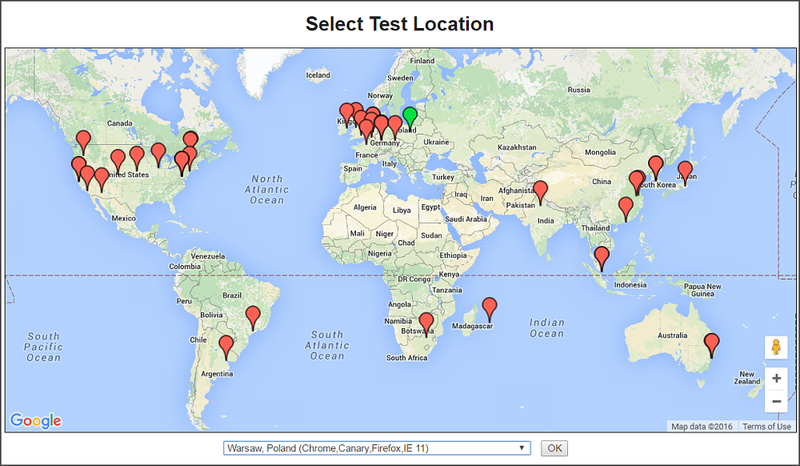 Just enter the URL of the website you wish to test, pick a test location (this will be a combination of a physical location on the map plus some information of the target environment), select which browser you wish to run the test on, and hit the big yellow button that says “Start Test”. You can also customize the test configuration through an “Advanced Settings” drop-down before starting. While the above describes how you can conduct an “Analytical Review” of your website, click on the “Visual Comparison” tab to compare your website with established industry pages such as Google, AOL, Bing, CNN, LinkedIn, etc or with any other specific URLs. By default the results of these tests are public. If you wish to make them private, you’ll need to make changes to test settings on the main test page. WebPageTest also lets you run an ICMP Traceroute test from any of its test agents (partners). To run this test you need to supply your website’s host name or IP address, pick the test agent you wish to use, pick a desired browser and specify how many tests (up to 9) you wish to conduct. With features as impressive as that, it’d be hard not to give the tool a try. For consistency purposes, the tool’s online version is available at www.webpagetest.org and a number of prestigious companies from around the globe provide testing infrastructure to it. Since the tool benefits not just website owners, but individuals and organizations interested in the web performance community, quite a few big names have joined hands with WebPageTest to offer testing locations to it and contribute their bit to the betterment of the Web. One of the latest partners to join WebPageTest in May of 2016 is Super Monitoring. 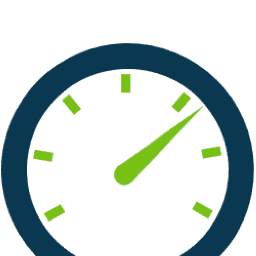 The cool website uptime monitoring service recently collaborated with WebPageTest to provide the most eastern testing location in Europe (in Poland to be precise). Ain’t that cool? 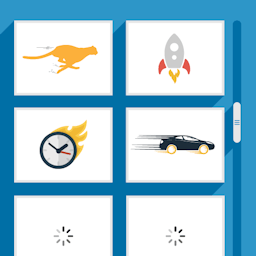 Don’t let lousy loading times cause your website loss of traffic. 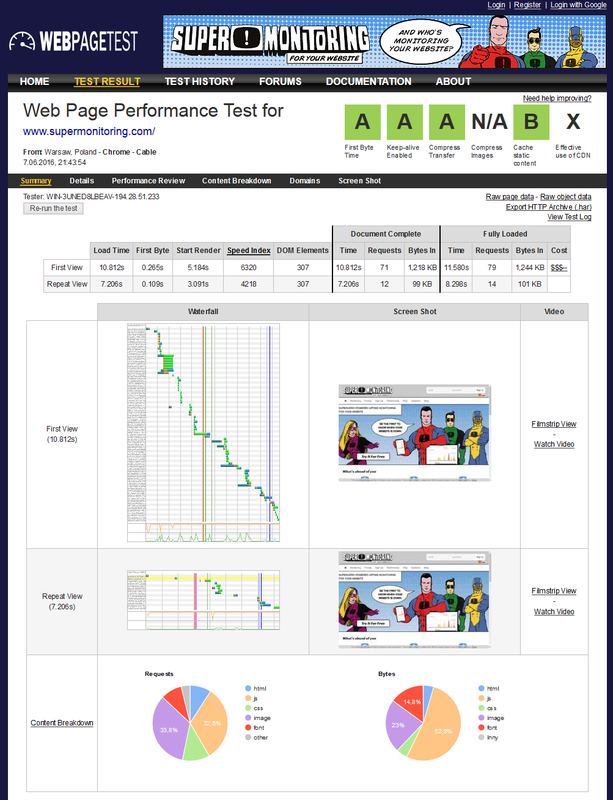 Keep tabs on it with WebPageTest and give your site’s performance a real boost. Posted June 14th, 2016 in Testing. 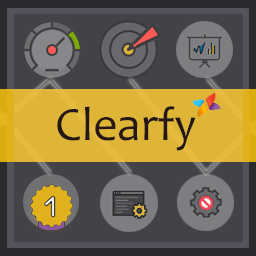 Tagged: analyze, check, loading time, optimize, speed test, waterfall chart, website.